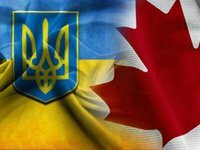 Ukraine will open the Consulate General in Canada's Edmonton on September 7, Ukrainian Ambassador to Canada Andriy Shevchenko has said. "On September 7 this year, we plan to accept the first citizen of Ukraine in Edmonton and thereby start the work of the Ukrainian Consulate General in Alberta province," he told Interfax-Ukraine. Shevchenko noted that Ukraine's presence in the western part of Canada will be ensured in this way. The ambassador expressed hope that the opening of the consulate will be important for establishing contacts with business.